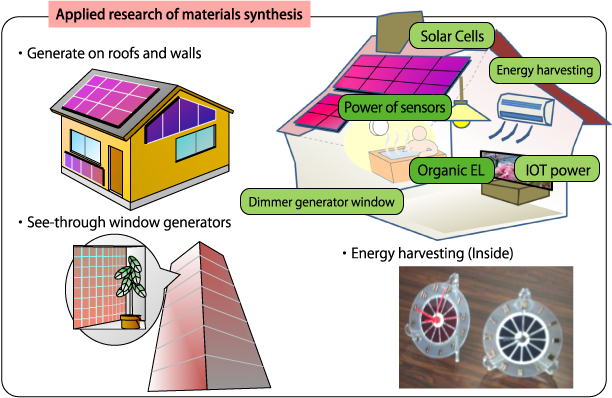 We develop materials of Dye Sensitized Solar Cells which have a generator system modelled after the photosynthesis in plants. Using organic and inorganic materials for synthesis is our company’s strong area. We work together with the Indian Institute of Chemical Technology and other domestic and overseas institutes in research and development. Solar cells create an electron from an absorbed photon. 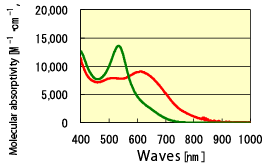 If it is able to absorb the light wide wavelength, it highly improves photoelectric conversion efficiency. Our institute developed RGD-3 as a high-efficiency pigment. Phthalocyanine Dyes is known for it’s high weather-resistant blue pigment. We have researched this pigment for Solar cell dye as in times past.Perovskite Solar Cells need the hole-transport layer which is transferred and separated from fined exciton absorbing the light. 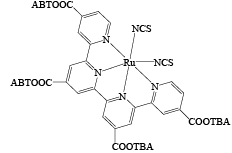 We focus on the function as sensitizing dyes semiconductors and develop new hole- transport materials “STM HT-PcH” based on Phthalocyanine pigment. This is the first application of this technology to Perovskite Solar Cells in the world. Now, the batteries function at 85% in the case of using materials in times past.But we expect the value of materials to decrease. . We are developing the batteries to improve their function.